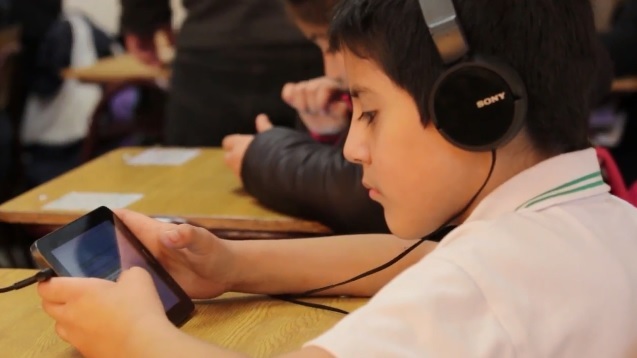 In the framework of the “Digital Games Platform for measuring the willingness to cooperate for school coexistence” project (IT15I10079) financed by the Fondo de Fomento al Desarrollo Científico y Tecnológico (Fondef IDeA), the Director of the CICS, Carlos Rodríguez-Sickert, will present the results obtained after two years of research, which included the data collection in different schools throughout Santiago. The ceremony will be held next Thursday, August 30 at 09h30 in the Aula Magna of the Faculty of Medicine of the Universidad del Desarrollo in Santiago, and will be attended by prominent authorities of the Comisión Nacional de Investigación Científica y Tecnológica (Conicyt), the Corporación Municipal de Salud y Educación de San Bernardo (health and education corporation), steering group of the participating schools, authorities of the Universidad del Desarrollo, CICS researchers and its team, and the DCCS students and professors. This Project, headed by Dr. Carlos Rodríguez-Sickert, Director of the CICS, had an interdisciplinary team, including teachers, educational and child psychologists, social scientists and computer programmers. The objective was to identify cooperative and non-cooperative skills among peers of the same course within educational establishments, under the hypothesis that the observable differences in cooperation among students, may affects the differences in quality of school life. Log in | 65 queries. 0.228 seconds.